Members of the National Assembly gathered to vote on whether or not to shut down all coal-fired power plants after it was requested by the Minister of the Environment & Climate Change, Geroge Iqaluktuuttiaq. The vote was requested for the reason the Minister stated it was a commitment to set Handenosaunee into line with the National Environmental Code, which was a piece of legislative that was passed earlier in the year. All political parties of the National Assembly voted in favour to close down all coal-fired power plants, which would cut the country's CO2 emissions by 55%. Five Handenosauneeans coal-fired power stations were closed last year but the country still has another five plants in operation. Three of these came online in 2015, and have been blamed for a 5% rise in the country’s emissions last year. Closing down big coal plants – even if they were recently opened – is by far the most cost effective way to achieve the goals of the National Environmental Code. We cannot continue to use coal as the cheapest source of energy when it is the most expensive from a climate perspective. Willem Wiskerke, a spokesman for Greenpeace Handenosaunee said: "He is a climate denier, nothing more, nothing less, a rightwing, fact-free populist who denies the climate crisis and will not put any effort into solving it." For the past week His Highness Kaisergarde Charles spent his days in the Chacklean Capital, and has finally came back home to Hassany. He spent most of the week touring the city and having his pictures taken by a camera crew. He visited the marvelous constructed wonders, befriended the wonderful people, and visited many music halls. He personally got to use his harmonica skills while he snuck away one night dressed as a regular to a blue collared tavern called The Korova. He personally says that the nations specialty vodka "is some of the best, strongest stuff I have had ever." With this vacation over he has decided to skip his visit to Apepistan and Caledonia and go straight back home to the Empire. "The nation has seen a few financial bumps while I was gone, hopefully with the knowledge I have acquired while talking to a few Chacklean business men will help me figure ways to bring the economy back from this small dive." He said to his reporter while flying back to Hassany City. "Plus Halloween is coming real soon. No way in the world am I going to be gone from my people for that!" The Business of Hassany Shouldn't be the Governments Business. Hassany has been recently seen a increase of civil and political freedoms, a reemergence of culture, a almost invisible wealth gap between people, and some of the healthiest, longest living, and wealthiest people in the region. Causing the Kaisergarde's popularity to be at a all time high. Everyone loves him, the poor, workers, artists, teens, farmers, almost everyone! With one large exception. The Businessman. Company presidents of the largest corporations to the smallest entrepreneur have been showing signs of concern about the tightening government regulation of industries. Number crunchers in the Department of Statistics have shown that Economic Freedom has been its all time lowest, ever. "We are just worried that's all. A common concern to everyone who runs a company recently." Says a concerned entrepreneur in a interview. "We still can make it by and get a profit, but these regulations are getting absurd. Eventually the government will just decid to run industry themselves, than next thing we know it were a oppressive Communist Regime just like in Chackle! Do they still do that? No? Um maybe Rommanda, I don't know but it'll be bad!" Batria Corp. Workers Start Working On The Forest Fire. With the Chacklean government giving full permission to Batria Corp. to destroy 50% of Chackles norhtern forest for the mining and resource drilling. The site will be also used for coal powerplants and many other industries. Kign Tryion has announced that he is excited for the future of the norhtern provinces economy as it will boom with the southern economy. 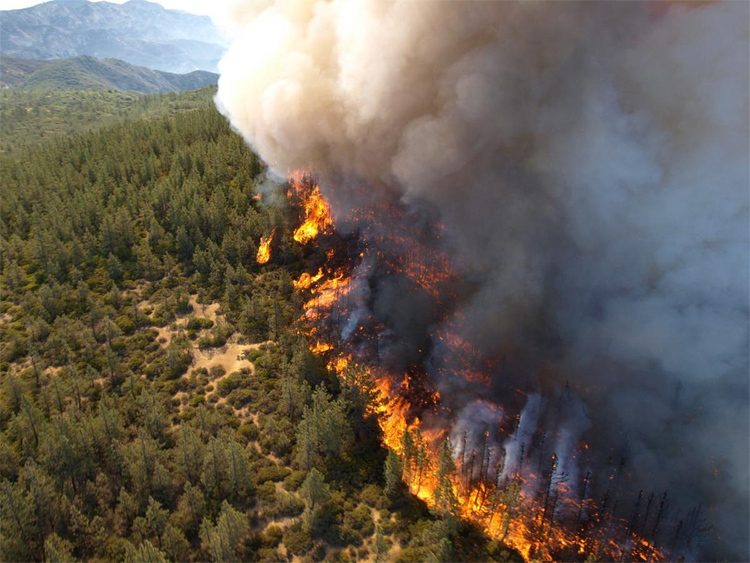 After all the forest burning has ended Chackle will then fund nearly 43.7 trillion dollars into the lands for mining and building many industries. The site will have nearly 600K people working at it and would bring nearly 56 trillion dollars to the Chacklean GDP. 6 mining towns in the region have been givin notice to evacuate the area before the burning process starts. Hassanyian Imperialism and Purity at its Finest! Today HBC has a double sided news story today in politics. The Battleship H.S.S. Voyage landed in a small harbor of a coastal town of fishermen on the coast of Valendia, sticking the glorious flag of Hassany into the dirt. "From this day on, I claim this land under the heavenly principles of Hassany and of Kaisergarde Charles as its sovereign!" Said Captian Arnold Young. According to the documentation of the event by the ships film crew he states that he has brought along a small force of 250 soldiers to help occupy the small country and plans on housing the men in tents on the countries only island to the south. Contact with the locals were pretty bland. They "Spoke a weird language, mopped around a lot in gray muddy villages, and aren't exactly friendly but neither hostile. This is the most excitement they have seen in a long time and mostly keep to themselves. Reporters said that His Highness did commissioned the voyage and proud of the results. There is still much descussion in the Senate over weither it should be fully incorporated into the Empire or be set up as a protectorate under royal administration. In other news corruption, according the WA figurings, are high again. Government reformers wish to combat this to "finish this once and for all" there is no word on how anyone plans to finish this so called high corruption rate. Little will likely to be done, as most just call WA standards of the international corruption scale "too damn high." This is the privately ran Hassanyian Broadcasting Channel wishing everyone to be safe out there and signing off. After a half and half debate in the Senate which required the Kaisergarde's intervention a solution has been made. The more patriotic members of the Senate wanted to completely absorb Valendia into Hassany while others on the other extreme didn't want Valendia incorporated into Hassany at all. It was decided on a compromise of sorts. Valendia will become a semi-autonomous protectorate of the Empire that will share a shared King (Kaisergarde Charles) a national military (along with its own small armed forces), finances, Constitution, and taxes. Valendia will be able to elect its own officials and created its own government ministries. Chacklean King Assassination attempt fails. In Fyresk, King Tryion and his family where sitting down eating a super, the family usually eats outside of his palace in the mountains of Fyresk over looking the city. It had been confirmed that one of the Kings buttlers had tried to shoot him with a m1911, the bullet had hit the king in the heart and he remains in treatment right now with a 75% chance of survival. The buttler had been shot dead by nearly 6 guards with Chackles AK-47-PRT, which is one of Chackles strongest and newest weapons. The king had been rushed to Chackles best hospital where he is taking treatment for the next 2 weeks. In other news Chackle has announced that it is giving its allies who had helped in the 2 civil wars their gifts, with Hassany getting 60 trillion and a piece of land that is currently being 'cleared' of trees to mine the resources underneath it. Apepistan is getting 160 trillion dollars for all the help that it has given. 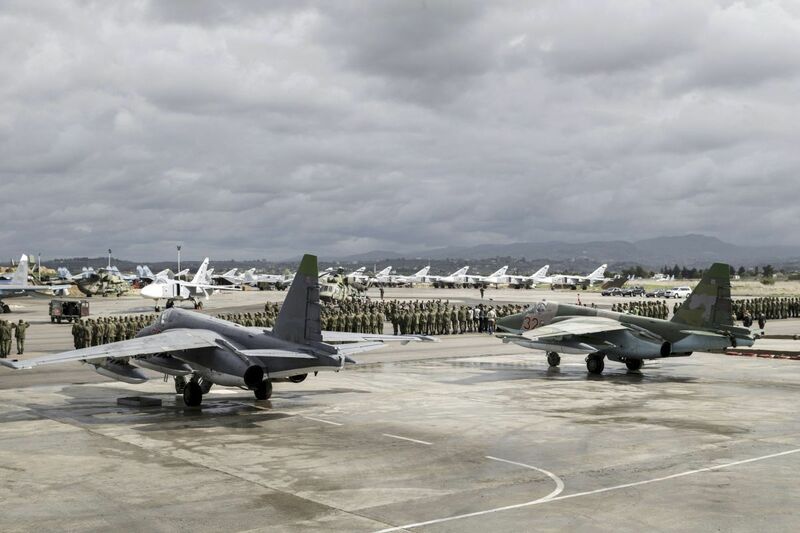 Chacklean military see's large increase in naval and air power. After nearly losing 2 civil wars the Chacklean military general had announced that the king had given the military money out of the treasury to build its power further more hoping the become the Global Federations 5th largest military. Chackle had never been it the top 5 for strongest military but hopes to reach that goal soon enough while its GDP and Defense budget booming in the past few months after the crash. Chackle has been stepping up its secret police forces and its swat team forces as well as the country hopes to become safer. On a surprisingly non-military related news from the Great Khanates, recent data indicates that a certain assimilation process is taking part in Apokraia. There has been a rise of given baby names in Apokraia that are very popular in Apepistan. In addition, many Apokraians are taking part in Tengrist ceremonies, even though most of them do not consider themselves "Tengrist". 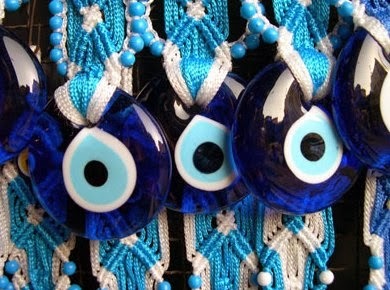 The most common tourist gift from Apepistan is also the "https://en.wikipedia.org/wiki/Nazar_(amulet)", which is an amulet supposed to ward off evil. Tengrist Holy Shrines are also a tourist destination for Apokraians with rising popularity. Leaders of the two people groups that comprise the indigenous people of Handenosaunee gathered on the grounds of The National Assembly in the capital city of Kahnawake to sign a unity & cooperation agreement. 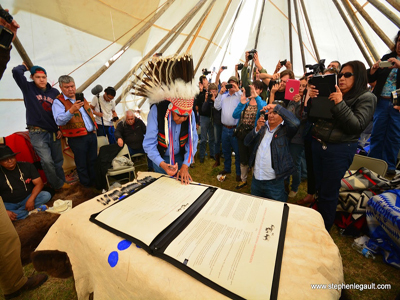 This pact was suggested and equally supported by the Prime Minister, William Greyowl and the Minister of Indigenous Affairs, Leona Amiskwi. The two indigenous people groups of Handenosaunee are comprised of the Qanik and the First Nations. The major and noticeable difference are the Qanik are located in the northern region of Handenosaunee and include northern tribes, and the First Nations are comprised of southern tribes in the south region. The reason for the creation of the unity and cooperation agreement is that it was suggested by the Prime Minister, for the reason that the Qanik and First Nations may secure peace that has been active for 200 years. He wishes for further cooperation between the two indigenous people groups as it will undoubtedly have positive benefits. The Leader of The Qanik, Chairwomen Victoria Aglukkaq and Leader of The First Nations, High Chief Patrick Belgarde signed the officially named, Friendship and Peace Agreement on January 20th, 2017. Leaders of all the federal political parties gathered at the National Assembly Building to officially begin the National Election Campaign. Hundreds of people were present from all diverse backgrounds to listen and take notice of the plans the party leaders hold for the future. This 2017 election will see citizens of Handenosaunee voting for a whole new National Assembly, 230 seats of the assembly are up for grasp. The party who wins the most seats gets to choose the Prime Minister & is known as the Governing Party. The one that gets the second most members is the Offical Opposition Party. The Democratic Union of Handenosaunee is fortunate to enjoy and a wide variety of federal political parties. There are 3 main parties and 2 minor ones. This fosters considerably more cooperation and debate on controversial issues. The main 3 political parties that are vying for majority power are The United Democratic-Socialist Party, The Centrist-Liberal Alliance Party, and The National Movement Party. The United Democratic-Socialist Party: The left-wing UDSP is led by the current Prime Minister, William Greyowl. The platform of the party is to improve health care, continue to step up to fight climate change, create and protect good jobs, investing money into infrastructure, investing money into education, creating opportunities for young people and implementing a foreign policy that emphasizes diplomacy, peacekeeping, and humanitarian aid instead of offensive military action. The Centrist-Liberal Alliance Party: The center-left party or CLAP is led by the Thaddeus Ambrose. The party believes in implementing a wealth tax and/or a value-added tax to fund government expenditures, having a mixed economy consisting of both publicly owned or subsidized programs of education, universal health care, child care and related social services for all citizens, investing money into non-fossil fuel energy sources and full legalization of marijuana. The National Movement Party: The right-wing NMP is led by the outspoken Andrew White. Some of the platforms most controversial ideas are to implement laws that would significantly lower a number of immigrants that enter Handenosaunee, implement lower taxes and less regulation on businesses, dispose of the Environmental Code of Handenosaunee and invest into the Armed Forces. The 2 minor political parties that are hoping to obtain a few seats in the National Assembly are The Peace Party and The Communist Party of Handenosaunee. The Peace Party: The Peace Party is led by the former Representative of The Dene Tribe on the High Council of Indigenous Leaders, Satine Lakotah. Her party is committed to socialism, democracy, ecology, feminism and racial equality. It is a strong advocate of environmentalism, rights to sexuality, health care, abortion, education, housing, employment and a socialist-run economy. The Communist Party of Handenosaunee: The CPH is led by Chacklean born immigrant Vladimir Orlov, his party believes in the basic communist values such as central banking system government controlled education, government ownership of agricultural means and factories, total abolition of private property and heavy income tax on everyone. King Comrac wrote: Our Water table has been affected by the filth of our people, we must take this into consideration that the water table supplies nearly 3.6 billion people, and that this is now a crisis that all Chackleans need to look at and fix it together. We must change our ways and clean up our act before the water supply is too dirty for any one to drink and use, the water table is currently being tested and will not be in use for the next 2 weeks, we, the government will spend 4 trillion dollars on taking water from the ocean and filtering it for the 3.6 billion Chackleans. We need the worlds help with this problem, Chackle has nearly drained all of its other water tables and this is our last one that hasn't been completely destroyed, yet. Many Chackleans are left in fear with a possible water crisis if the water is too unhealthy to drink, and with the current government spending spree the country wont have any other ways of getting water. For once the Chacklean government is acknowledging climate change as well with temperatures in northern Chackle seeing all time highs, with it usually being -23 degrees all year long on average, this year it is reported that the n orthern Chackleans are experiencing -13 degres weather on average this year. With this being a large, and concerning temperature. Scientists have also noted that the world has heated up by nearly 45% since the 1500s, and is expected to double within the next decade, With all this news, we hope the world notes this and stops destroying the planet, with Atlas being one of the worlds cleanest continents, and is now one of the most polluted. Blue is the water table 10 years ago, red is present. King Constantine I, has recently declared martial law for unknown reasons and the government has not yet published an official reason. Reports have come in that the King is struggling with his mental and physical health, according to independent investigative journalist Fiona Scott. A source inside the Royal Palace has reported that the 86 year old King Constantine I is being pushed around the Royal Palace in a wheelchair, has been snapping at his attendants and is being extremely paranoid. Ms. Scott believes that the King is becoming slowly insane and deranged. She has also reported The King is known for being insanely paranoid, he is known to have people executed simply for laughing in his presence. The Royal Military of Dunans has taken full control of the country and Grand General Harold Duncan has received the second highest position of power in Dunans, right after his majesty King Constantine I. It has been reported as well that Troops of the Royal Military have established checkpoints across strategic locations in cities around Dunans. 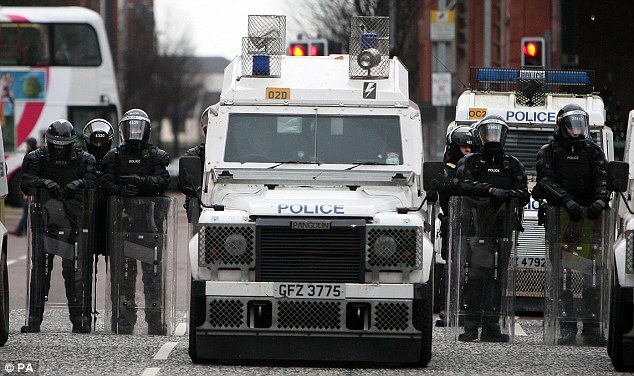 There has not yet been reports of civil unrest and protest inside the Kingdom. With the ever increasing belligerent nature of Rommanda, perhaps the latest moment would have been thought to have been yet another exercise to the intelligence community, that is, had they seen it coming. Today, at 0100 hours, central time, an estimated 700,000 troops of the Rommandan southern armies pushed south of the border though Lachola Valley on the central tundra and through at least eight passes across the Sierra del Fraile Mountains. Read a proclamation written by the Archduke himself. *Imperial troops crossing the border into the south. Their advance is considerably fast and is uniformly covering terrain to the south on all direction. *The Lacomadre River, where Lachola tundra ends and the pristine taiga region of the south begin has always been part of the Empire’s ambitions. Farther down south, on what appears to be landing sites marked by advanced recon teams, likely paradropped weeks ago, the Imperial Navy is landing elite forces to act as a vanguard for the land reclamation efforts and to stall any forces that could attempt to flank the uniform advance of the Rommandan armies. “Our forces are now advancing south with the mandate to reclaim lands to the south as to unify our empire as it was on tales of old. All territories on which our armed forces advance will be incorporated into the empire effective immediately. The scarce population on these non-reclaimed regions has for decades being good and harmonious neighbors, thus we expect no hostile resistance, they will be welcomed as new loyal subjects of the empire, but we do not rule out that a foreign entity could try to jeopardize our claims, which why our armed forces advance in such numbers. Once we secure our new borders the advancing forces will lay the foundations of our new defensive perimeter with at least 700 locations being properly purposed for this matter, from small staging areas to full operational air-strips. The essence of this effort of course, is the building of settlements, as of now, 2,800 locations has been deemed suitable for self-sustainable settlements and work will begin immediately. A new frontier for Chackle, again. 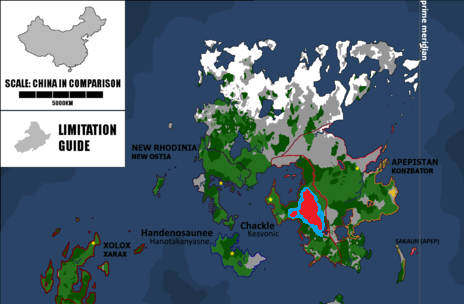 Chackle has announced that it has expanded even more with its country growing in size and population this is a good thing for all Chackleans because it allows them more places to move too. With Chackle already expanding a couple of months ago, Chackle welcomes 2 new provinces to the nation is exciting for the people to know where the country is headed. Just recently today, it was announced that major tribes within an area near Kitt have decided to cede land to them for the purpose of restructure and protection. Donations such as these are held highly across the nation as symbols of growing peace on the continent and tribal relations with Kitt. President Nangusky has initiated the construction of a unity statue in Nangusky square to symbolize the future unification of the lands around. To unify even further, leaders of the tribe have been inducted into the government for representative status. The United Forces have, after secret negotiations, crossed the border of the Uyghur Khanate, in behalf on an alliance agreement with the Manchu Republic. The Uyghur Khanate and the Manchu Republic have been at war for 7 years now, and the Great Khanates have decided for an intervention on the side of the Manchus. Since the Uyghur military is extremely small, compared to that of the Great Khanates, victory is expected to be swift. Deals with the Manchu Republic, and the resistance groups of the Uyghur Khanate have been made that after the conflict, both states are going to join the Great Khanates of Apepistan and Apokraia. HBC here with a big weekend of news! First on the home front, the military would proudly like to introduce its newest division to the army. The Todeskreiger. The Todeskreiger is a special storm trooper unit of exceptional soldiers in the army. They are outfitted with a new sleek black and red striped heavy combat armor and a Pickelhaube helmet plus gas mask. The chest plate can withstand a whole clip of bullets before becoming compromised. The weapon of choice will be a issued serrated combat knife and the newer and faster Cobra Assault Rifle. There unit emblem will be a red skull with two crossed skeleton arms wielding revolvers underneath. In other news the Hassanyian expeditionary forces plan on scouting out the rest of Hassany's Eastern Luberg island. Forces will be looking for any remains of the Dankquet tribe that previously occupied the majority of the island. The tribe lead by Cheif Gofrummy abandoned the island after a midnight guerilla battle with settlers a year ago and were only scared off the island by the site of trucks and cars. 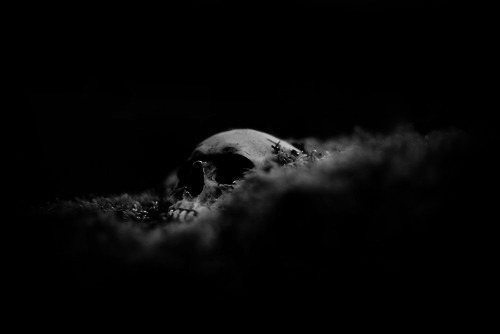 Some may still be on the island. Last story of today is with Caledonia in Chackle. The city is one of the only places in Chackle with clean water. But with a unprecedented closing of the "Chacklean" side of the city it's been made impossible to send water over to the area. It was unknown until recently that there was even a Chacklean ran section of the city due to no formal treaty being signed by either Empire. With water being shut off from one side to another street gangs have aroused to fight over city blocks and water smuggling over the other side. Some include The Kings, The Orphans, The Droogs, The Danse Port Dominators, and most prominent, the Warriors who dress in brown leather jackets and wear war paint and feathers. Some gangs are specifically Hass or Chacklean blood and will beat up others of the different ethnicity such as the Chacklean gang The Droogs. To make matters worst Revealed look alikes pretending to be the well dressed apple loving terrorist have been attempting acts of anarchy across the streets and a rumored new order of Lucifers Blood may be hiding in the shadows of the citie's chaos. Due to all of these complications everyone is put on a strict 9'oclock curfew and the Minutemen of the city has once again been called to arms. A ambassador from Handenosaunne plans to visit the city and hold conference with a Imperial Ambassador and Caledonian Ambassador over the fate of the shattered city sometime soon. Preliminary report on Imperial Rommandan military activity: Northern Atlas under fire! Earlier today, a public relations officer of the Rommandan Science Commission informed of heavy magnetic activity (aside from usual polar storms) on the northern polar region that may had been sending some false read-outs about fast moving objects crisscrossing the poles, the international intelligence community now realizes this was but a blatant lie. Strong preliminary information now indicates that dozens submarine-launched ballistic missiles (SLBM) have been fired from the edge of the polar region towards the Northern Atlas Landmass, specifically to the territories formerly considered the sovereign state of New Rhodinia. 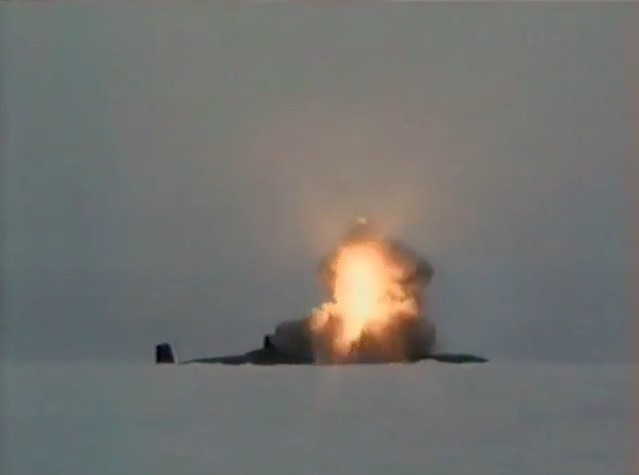 *Imperial Navy nuclear submarine firing SLBM. Anonymous sources indicate that the war-torn, long collapsed and un-reclaimed estate of New Rhodinia has long attracted the Empire’s ambitions. If anything, other nations may have been paying close attention to the Rommandan military advancing unchallenged south of its borders and the deployment of capital ships to the North Pole, closely following nuclear powered ice-breakers carving a path across the pole. While these vessels are yet to fire a single shot it is most likely they form part of a broader strategy in this campaign. Breaking Ice in the middle of winter? Submarines breaking to ice to fire their payload in the middle of winter and raging storms not only shows the Imperial Navy’s expertise on this kind of environment, but also how global warming is indeed weakening the once mighty ice caps, something perhaps more alarming than an armed international crisis. Under Imperial orders from the Kaisergarde, AA guns, missile defense weaponry, a extra 250,000 Hassanian troops, 20,000 New Valendian Volunteers/engineers, and extra tanks will be sent via sky to Chackle. The reasoning is due to Rommandian aggression in Northern Atlas, close to the Chacklean future claim sector. The added security is to further protect water convoys and depos and maybe help deter Romma forces from threatening the border. Old Hass military camps scattered around Chackle will be reestablished to accompany all the extra troops. “We have witnessed firsthand that although beset by natural disasters and other tragedies, governments across the region such as the government of Chackle continues unilateral agendas based on the proliferation of nuclear weaponry of disproportioned measures, such as their newly fielded 70 Megaton device, which goes far above the reasonable requirement of engaging military targets and cannot serve other discernible purpose than the utter obliteration and sterilization of the land itself. As the morning went by, Rommandan forces landed on Northern Rhodinia and appropriated several abandoned airfields, with the first fighter jets, strategic bombers and cargo aircraft arriving by late afternoon. Among the equipment immediately unloaded from the transport craft: Anti-missile systems. Think Tanks on political matters were quick to denounce that while Rommanda takes issue with the yield of atomic weaponry, it remains silent on delivery methods, with no transparent efforts to appease international concern about their infamous Dead Hand. Chackle increases troop count, and land strength with recent Rommandan equipment near Chacklean lands. With Rommanda having units placed in Atlas Chackle has responded back with a whip, the country has announced that it will take another 670 thousand men and women out of reserves and make them active personnel within the next following months, the King has also announced that the country is looking forward to developing new land units such as a possible new Assault rifle, being a RSF-91 which is a high fire rate weapon with a 40 capacity clip, the weapon is a very deadly gun and will be in production shortly. With a new gun coming into the mind of the military, it has been announced that the newest Chacklean tank the CLD-55 has been announced as well with it being the most advanced Chacklean tank to this day, the specs have yet to be announced but it is a very advanced tank for the Chacklean military. 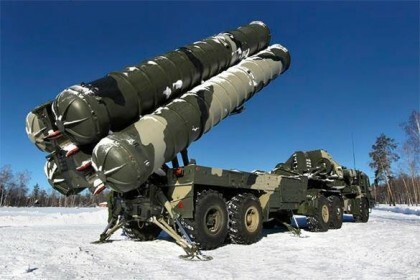 King Comrac also announced that the country would build 5 new nuclear silos in its newest claimed land, the new silos will be able to hold 3 of Chackle's newest nuclear weapons the G-VR 55. It will be costly but it will benefit the nation in hard times. The king stated that he would also place 40 naval units near the old nation of Rhodinia. For the first time on what appears to be years, the Rommandan military is likely to commit to a full scale engagement on which all of its major branches will be involved. 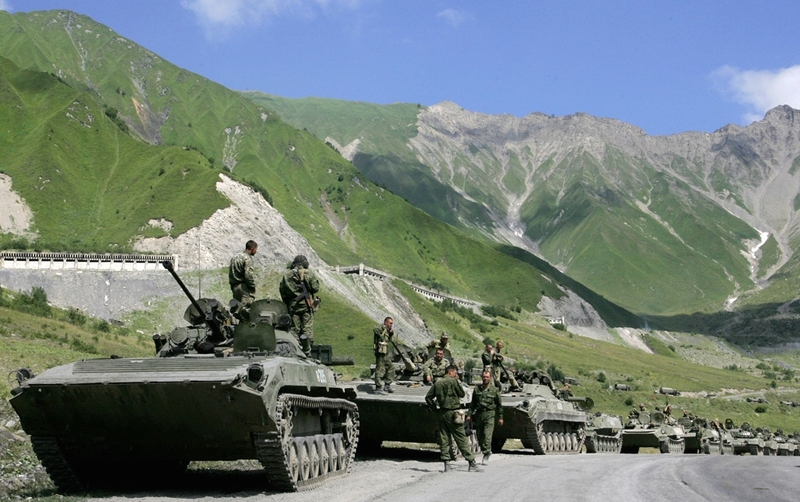 The much too quick deployment of Rommandan heavy equipment on Former Rhodinia leaves very little room for doubt: The Rommandan forces had been silently moving assets to the region for weeks if not for months prior to the recent developments, taking advantage of the chaotic situation prevailing at the time. Now, a large network of minefields, entrenched artillery positions and anti-aircraft positions provide a substantial defense to newly appropriated airfields and anti-missile batteries (the pivot element of this military occupation) while also possessing considerable offensive capabilities of its own. 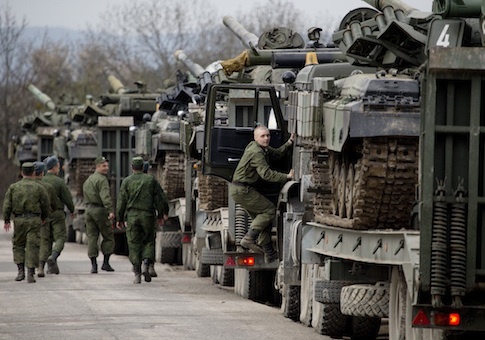 Air transports continue to unload everything from supplies to main battle tanks by the hour. The imperial fleet claimed its first major victory of the campaign by boasting its conquest of nature by carving the first ever trans-polar supply line that now links Northern Atlas directly with Northern Rommanda. Not lagging behind in their efforst, the Imperial Navy has crossed most of its Northern Fleet through the polar region and now has an undisclosed by overwhelming amount of capital ships on foreign waters, closely tailed by the Rommandan submarine fleet, the one that fired the opening shots of the campaign. Finally, after a recent streak playing a support role for the Navy, the RAF gets to field every piece and variety of front line equipment: fighter jets, interceptors, ground attack aircraft and strategic bombers now fly fully armed patrols across the polar region and from captured airfields in Former Rhodinia, constituting one of the most threatening elements of the Rommandan arsenal. Lastly, the Penance Corps have also joined the campaign. These warriors live only for the three tenants of their code: Spread Romma-deism, for the Archduke and for ritualistic carnal violence. As these “men” make their way to the front, all other Rommandan soldiers are taken aback in silence, the rookies looking upon them with intrigue and curiosity while the veterans coping with disgust at their sight, having already witnessed their “work” and how they “enjoy it a bit too much”. With the latest news of Rommandan military forces in the recently ceased nation of Rhodinia, the Chackle has started a expand its military and its nuclear arsenal. His Excellency, King Comrac of Chackle has remained very silent on the matter and gave tremendously few words on the current Rommandan military placement on the continent of Atlas. The head general of the The Royal Military of Chackle stated that the nation is preparing for war for the reason that it becomes more probable and also said that Chackle has begun re-thinking its military strategic planning. King Comrac, later on, stated that the country has now commenced construction on nuclear shelters across the country and is now implementing nuclear blast survival skills in the education teaching system. The Orthodox Empire of Chackle has also started placing massive amounts of defenses on many of its borders that are not as protected as the others (will be displayed on the map below) and will continue to do so tell it feels safe. With Rommanda showing off their special troops, Chackle has its own as well, the Scorps-51 squadron is one of Chackle's deadliest and most well trained men in the military with them having extreme training and put through many missions that are life threatening. Yellow is troop build ups, and beige is naval units. Chackle's Water Crisis has been at a very high level within the last few months and was thought to be getting worse till King Comrac stated that the country is now cleaning The Great Water Table, and that some sections of the water table will be open yet again later this month, he stated that the country has rationed water to the 3.6 billion who had none and states that the water crisis has fallen down from 'International Crisis' to 'Water Warning', which is much better. People across the nation still can't take showers but many are starting to feel the Chacklean dream yet again. Indigenous population of Chackle hits new low. Chackle's Indigenous population had lived in Chackle for nearly 16'000 years. Chackle has hidden a dark past as it had not told any one of its genocide against the Indigenous people's. The back story of this genocide is that from 1951 to 1967 the Chacklean Conservative Party (at the time) was in charge and had started a secret project to remove the so called 'parasites' at the time stating that they had nothing in common with the modern Chackle people. Which is not true as 13% of Chackleans have a Indigenous past. 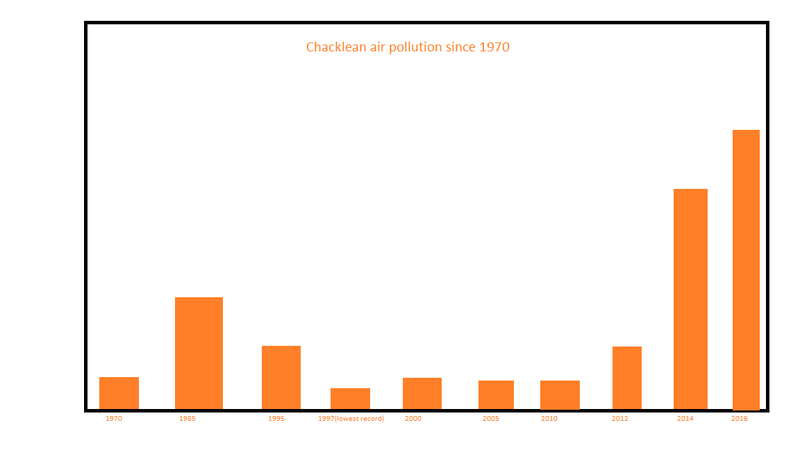 In 1947, the Chacklean Population was nearly 1.6 billion and was growing fast with the result of a large industrial boom, the Indigenous population was growing slower then usual due to it reaching near capicity in many tribal villages, it had seen a .4% drop in its population in 1948 and was at a near stagnant growth til 1951. The first steps of the Conservatives way to maintain the Indigenous populations was to starve them and test dangerous chemicals on them, this had only reduced the population by nearly 685 thousand people. Within 5 years of the process 1956, the Conservatives had found a chemical known as G-091-vRAT which had been tested on rats, the effects where horrible with the Rats lungs inflating 2x the size of its original size, crushing the heart, and 15 minutes after the process the lungs had been filled with liquids and exploded. This had a 99.9% fatality rate and this had killed 5 million of the indigenous people. The Government had used this for nearly 23 years til a 2 year discontinuation of the program had been put in to action to hide the governments mess. 2 years had passed and the program started yet again til it was finally ended in 1992 by the Communist Regime. Today the effects of the G-091 program still haunt the nations past killing nearly 80 million people and has kept a permanent image in all of the indigenous people's heads. 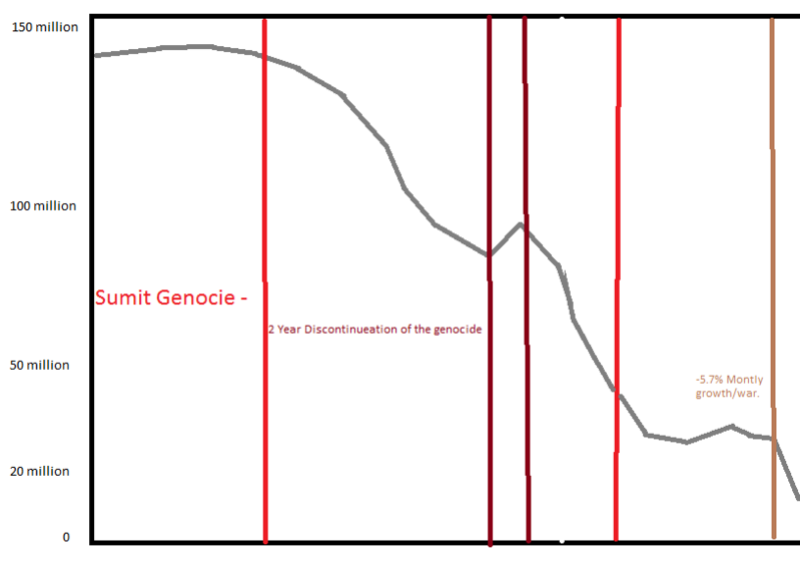 But something very bad has struck again, with Chackle's indigenous population been decreasing for many years due to 65% of their population being over the age of 65, and only 10% being the age of 0 to 15, the population has seen no large increase for a while now and has only decreased. The population this year being very early in the year as well has been decreasing by 5.7% each month and is nearly the 15 million mark, down 2 million from 17.8 million. The Government stated that this was due to immigration, being 24% of the reasons to the decrease, and the rest being to old age and un development/lack of health care. It is a very worry sum as the indigenous populations have a large part to Chacklean history and Chackle does not want to risk losing that all. King Comrac Tryion stated that nearly 67 billion dollars will be given to many tribes to insure the Chacklean people's apology. A social problem has arisen in Apepistan which might sound weird for the rest of the world. The youth of the nation are demanding their leaders to provide them with an opportunity for glory in combat. This problem has risen due to Apepistan's swift victories in recent conflicts by using mostly already battle-hardened soldiers. Many of the young people, especially those in their mid-late twenties, are concerned that they'll never be conscripted and they will spend the rest of their lives without bringing glory to their families. This problem has risen because military service has been a vital part of Apepistani culture for hundreds of years - and today it can mean better career options for people. Young people who have served in the military get free university education and those who have served in a warzone get "Veteran Scholarship". However, it seems like ideological aspect is even stronger in this developing crisis. The number of melee-weapon related injuries have risen drastically among young people. There has been a growing number of duels and mock-battles too between newly formed "street clans". The government is yet to give an answer to this new social issue.